I’ve never seen anything like Markelle Fultz. That isn’t an insult, necessarily; as of yet, though, it isn’t a compliment, either. After a year-and-a-half in the NBA comprising the aforementioned 33 games – two more than Embiid’s “rookie” season in 2016-’17 – Fultz is, yet again, sidelined, for reasons both incorporeal and metacritical. His may be the most influential single shoulder in the NBA right now. Before Butler arrived, it was a question of how to stagger non-shooting, dominant ball-handlers like Simmons and Fultz alongside dudes who either also don’t really shoot well (Embiid was a touch under 31% from three last year), are somewhat capable of shooting but mostly do so out of necessity or are literally JJ Redick, who has enjoyed a thirteen-year NBA career largely on the strength of his historically-great volume shooting from downtown. The answer unwittingly came via a trade with Minneapolis in which Robert Covington and Dario Saric were jettisoned to Minnesota in exchange for noted practice-disrupter and generally-genial discontent Jimmy Butler. With that, the clock started to slow on Markelle Fultz, a 20-year-old with the rest of his life ahead of him and yet, nevertheless, whose career is in jeopardy. Two schools of thought have emerged on this curious case: Is something actually wrong with his shoulder? Fultz has seen multiple specialists repeatedly and is due to do so again this week. A report also came to light, courtesy of The Athletic, that Fultz could be dealing with a wrist problem as well. Perhaps coincidentally, the same report claimed that sources close to Fultz believe the player would like to ply his trade elsewhere. Charles Barkley’s extremely-2018 observation about Twitter users that “as long as you’re nice, you can say stuff; if you’re being mean-spirited, that’s when you’re living in your grandma’s basement” aside, he’s got a point. Everyone has gawked over Markelle Fultz, spellbound by his apparent inability to carry nearly any of what he had done in his excellent, lone college season at the University of Washington to the NBA. 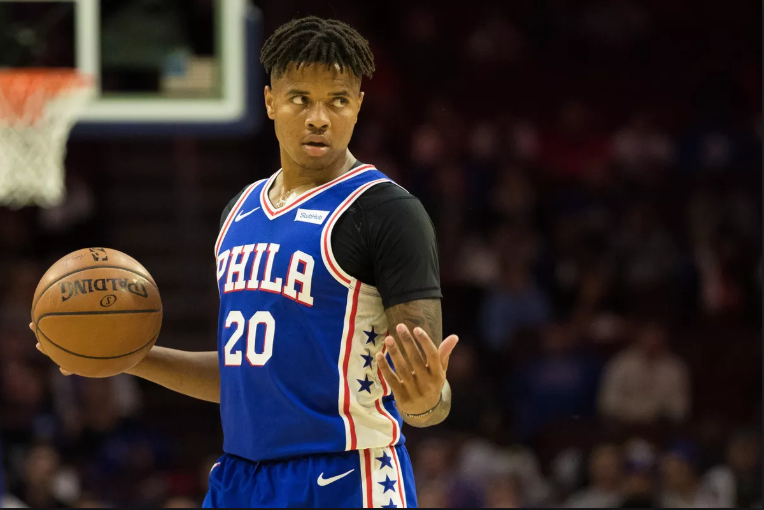 Markelle Fultz being the sole number one overall pick to come out of The Process certainly placed an undue amount of pressure on him, especially given how Embiid and Simmons have performed thus far in their respective careers. He was supposed to be the missing piece. Instead, he’s just missing. Still, Fultz is just 20, the same age as Jayson Tatum, who gained notoriety a season ago for having a remarkable rookie season and causing everybody, everywhere to ask everybody else if they could possibly believe that a guy doing things like that could be that young. The whole point was that it seemed impossible. Fultz’s redemption may yet come, with players like Victor Oladipo, C.J. McCollum and even Jimmy Butler himself as templates for a jump. Even if he leaves Philadelphia, it could just be that Fultz needed more time to process everything. Incidentally, Redick is in the middle of the worst three-point shooting year of his career while averaging more points per game than ever – his two-point shooting percentage is at an all-time high. Editor’s Note: An earlier version of this post listed Markelle Fultz as “Philadelphia’s first #1 overall draft pick since Allen Iverson,” which is very much not true. In leaving space to make a joke regarding Ben Simmons’ “rookie” year (with all due respect to Donovan Mitchell, Simmons actually was a rookie despite sitting out the year before), I forgot to do so, and the joke ended up being on me. The post has been updated to reflect that.